The Northern New Jersey Community Foundation (NNJCF) announces the award of $3,000 in grants from donor advised funds to nonprofit organizations. These awards were made from the NNJCF’s Andrea Tilbian Halejian Memorial Fund and The Class of 1964 Ralph Gregg Memorial Scholarship Fund. The Foundation focuses primarily on education, public health, civic engagement, arts, philanthropy, and the environment. The Foundation’s Andrea Tilbian Halejian Memorial Fund awarded a $2,000 grant to the Armenian General Benevolent Union (AGBU). 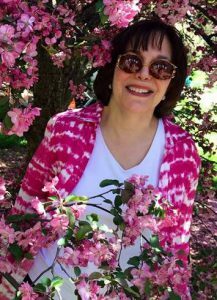 This Fund remembers Wyckoff, New Jersey resident Andrea Tilbian Halejian. The fund contributes to qualified charitable organizations she supported. Andrea Tilbian Halejian, her family and many of their friends cared for Armenian efforts on local, national and international levels. A grant to the AGBU supports The Promise to Educate Campaign to raise awareness about the Armenian Genocide. The program expands genocide prevention through education and provides curriculum materials about the Armenian Genocide to teachers and students in schools across the United States. For more than 110 years, the AGBU promotes and enhances the global Armenian nation through educational, cultural, and humanitarian initiatives. The NNJCF’s Class of 1964 Ralph Gregg Memorial Scholarship Fund memorializes Leonia High School 1964 classmate Ralph Gregg. This NNJCF fund presents a $1,000 scholarship award to a Leonia High School senior seeking to further his or her education. The recipient is also a member of an athletic team and holds a B grade point average or better. In addition, the student demonstrates some financial need. Kyle Russell of Leonia, New Jersey is the 2017 recipient. He attends the New Jersey Institute of Technology and pursues studies in engineering. Highlights of his athletic record at Leonia High School included captain of the First Team All Soccer League and captain of the track team with most valuable player, PV school record, and third in state. Also, this athlete was a member of the basketball team. 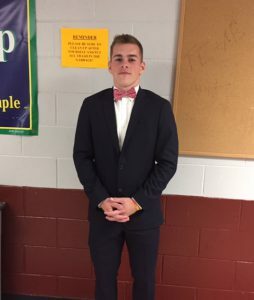 Russell was also active in school serving in the National Honor Society, tutoring math to students and adults, participating in Peer Leadership and the Leonia High School Open House, and being named Mr. Senior and to the Homecoming court. Notably, his volunteer activities spanned working with the Leonia Recreation Camp Counselor in Training program, St. John the Evangelist Church’s fundraising events, the Sport Boosters’ Christmas Tree sales, and the Art Restoration bingo fundraiser, among others. The NNJCF’s comprehensive menu of philanthropic services includes donor-advised funds, tax-saving annuities, and trust options. These services address peoples’ charitable interests with a range of options. The NNJCF continually asks: What can we do together that we can’t do alone? “Through the offering of donor-advised funds, NNJCF helps contributors of all ages give to issues in our region they care about the most. This is a win-win situation. The donor becomes an active participant in the distribution of particular grants. Our communities receive the benefit of funds for important needs and services. Funds can be established in any area of interest — arts, education, environment, public health, youth development, animal welfare, and many others,” said Danielle De Laurentis, Associate Director, NNJCF. For further information about the NNJCF, the donor advised funds, or to set up a charitable fund, visit online, call 201-568-5608 or send an e-mail. Get the Foundation’s updates on Facebook and Twitter.